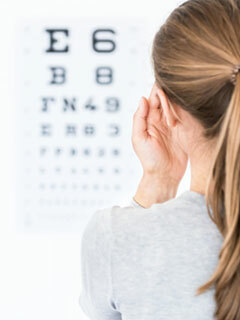 Annual eye exams are vital to maintaining your vision and overall health. Eyecare Plus offers the optomap Retinal Exam as an important part of our eye exams. The optomap Retinal Exam produces an image that is as unique as you fingerprint and provides Dr. Johnson and Dr. Barr with a wide view to look at the health of your retina. The retina is the part of your eye that captures the image of what you are looking at, similar to film in a camera. -A scan to show a healthy eye or detect disease. -A view of the retina, giving your doctor a more detailed view than he/she can get by other means. -The opportunity for you to view and discuss the optomap image of your eye with your doctor at the time of your exam. -A permanent record for your file, which allows Dr. Johnson and Dr. Barr to view your images each year to look for changes. We participate with VSP, Medicare, Davis Vision, Blue Cross/Blue Shield, United Health Care, Eyemed, Aetna, Cigna, Avesis, SVS and Tricare. Check with our staff if you have other types of coverage.